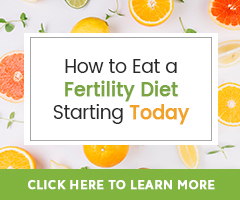 Sabrina shares her experience with the Fertility Cleanse. After experiencing PCOS, infertility, and no period for two years, she has an amazing story to share…. sorry just wanted to add something, i dont have access to organic fruits and veg so dose rinsing them help remove pesticides? i always by free range chicken and eggs, but is that the same as organic? And i forgot to ask if i can do the fertility cleanse whilst taking clomid? I want to maximise my chances by eating well but i also want to take the clomid as i know it works and i get very impaitient as i just want another baby with all my heart? hi, i have had irregular periods for almost 10 years now, and the doctors said that my E2 dosent spike in the middle of the month to make me ovulate, they arent sure why as i’m not heavily over weight or anything blood sugar problems, so they put me on clomid in feb 07 and i was so lucky and i ovulated and fell preg in the first cycle and now have a beautiful baby girl who’s 19 months old, but now me and my hubby are trying for baby number 2 and so far now luck, we have been trying for 7 months and had the cycles of clomid and i fell preg last months but lost it after 5 weeks, and now i’m just scared that i cant have another baby, i’m very interested in natural ways to improve health aswell as fertility. The only thing that i can think of is that before i had my daughter i had lost about 5kgs and was eating really healthy, and this time i have been a bit bad with my eating, so i’ve started to increase my fruit and veg and cut out junk food and coffee, i dont smoke or drink alcohol. I was wondering if anyoe know if having a c-section affects fertility, i had one with my daughter and would like some feed back, also i’m only 26 so i dont think my age is a factor in my fertility problems.